If you read my post about the History of Chicken and Waffles, then you might be craving a batch yourself right about now. 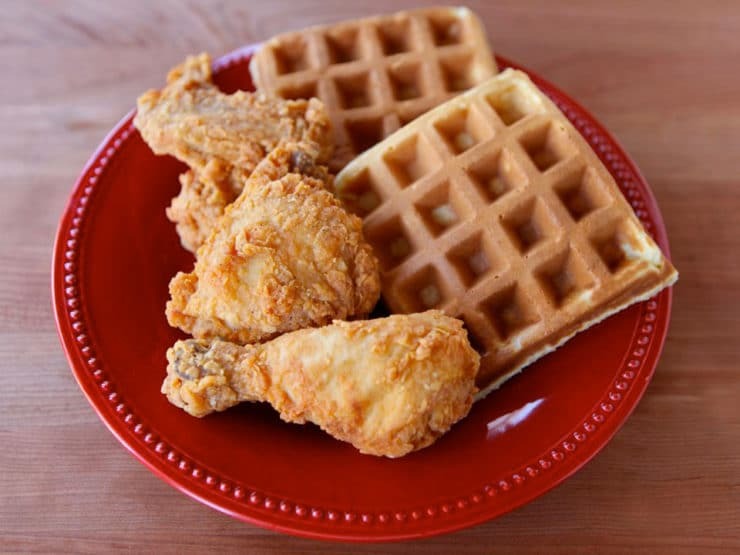 No need to travel to Roscoe’s Chicken and Waffles or Gladys and Ron’s… you can make it yourself at home! It’s easy. Here’s a fried chicken recipe along with my family’s waffle recipe. It’s not exactly Wells, but it is a really great pairing. On their own, they’re delicious treats. When served together, with butter and maple syrup… wow! Seriously awesome eating. If you’re on a diet, don’t touch this meal with a ten food pole. If you’re looking for a serious dose of comfort food, press print immediately! Note: An easy kosher modification appears below. Learn to make classic Chicken and Waffles with crispy, crunchy, flavorful Southern fried chicken and fluffy waffles. Easy kosher modification. 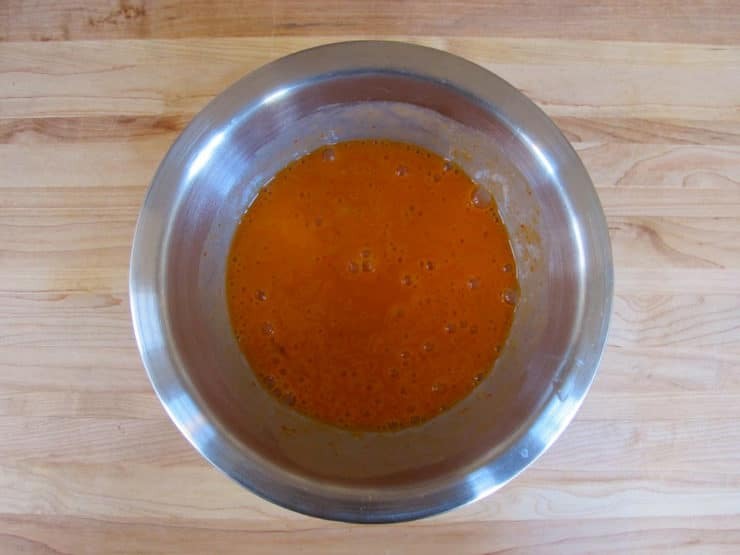 In a medium bowl, beat the eggs, water, and hot sauce together. Reserve. 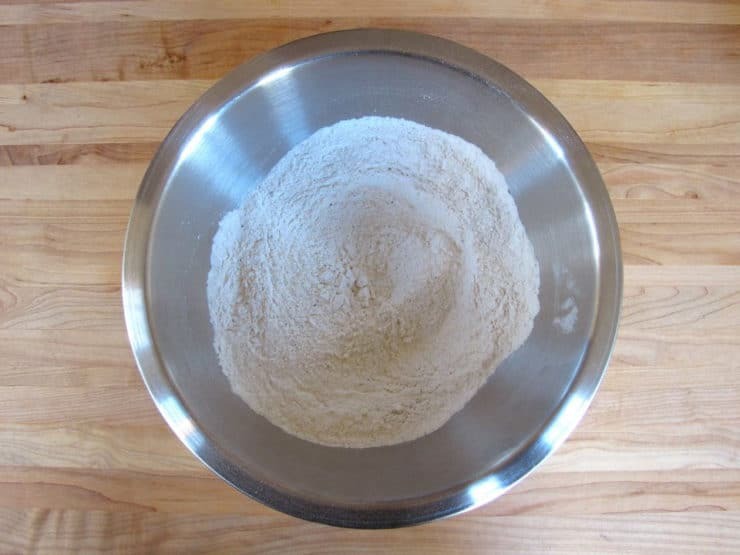 In another medium bowl, combine the self rising flour and 1 tsp black pepper. Sprinkle the chicken pieces generously with salt, then lightly with garlic powder. 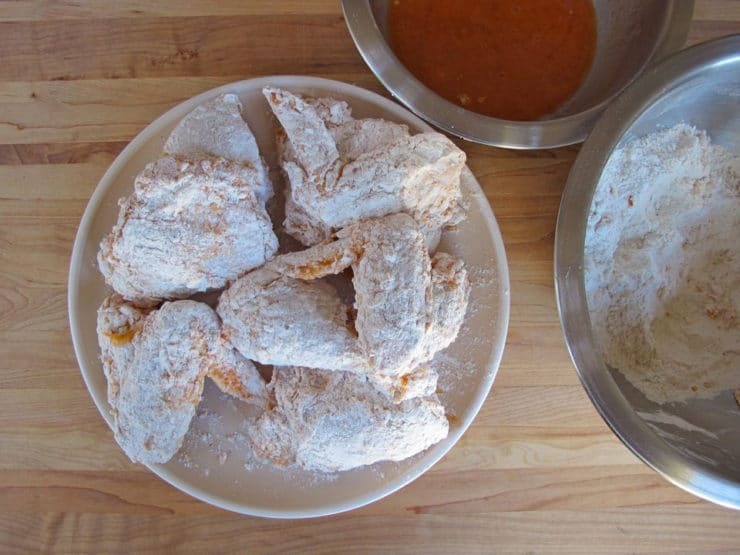 Dip the seasoned chicken pieces into the egg mixture, then coat in the seasoned flour. 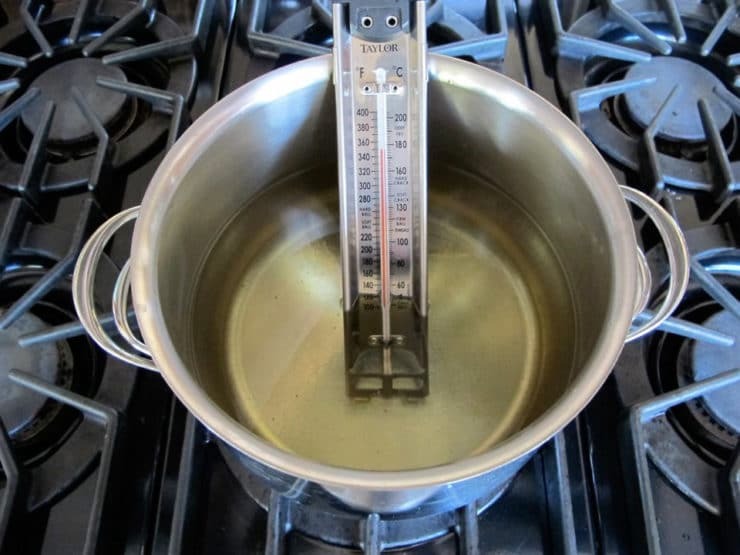 Pour oil into a deep pot up to half full with oil, then heat over medium till hot enough for frying (350 degrees F as measured on a candy thermometer). 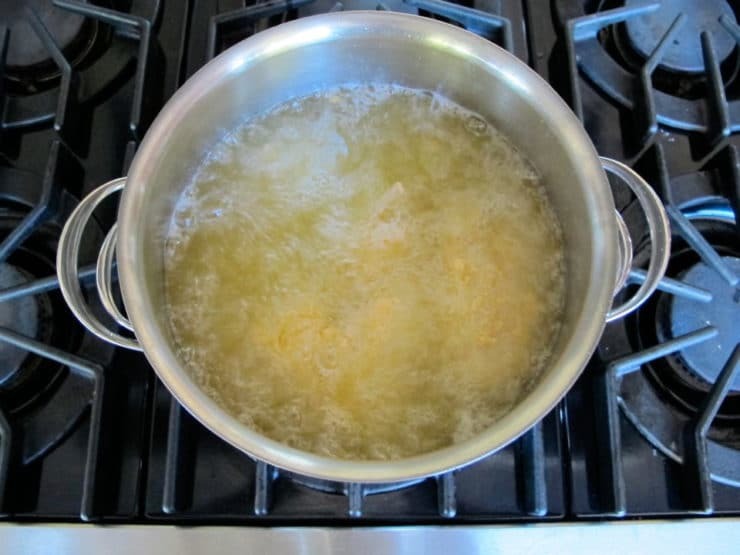 Submerge the chicken pieces carefully into the hot oil. Let the chicken fry till crispy and cooked through. 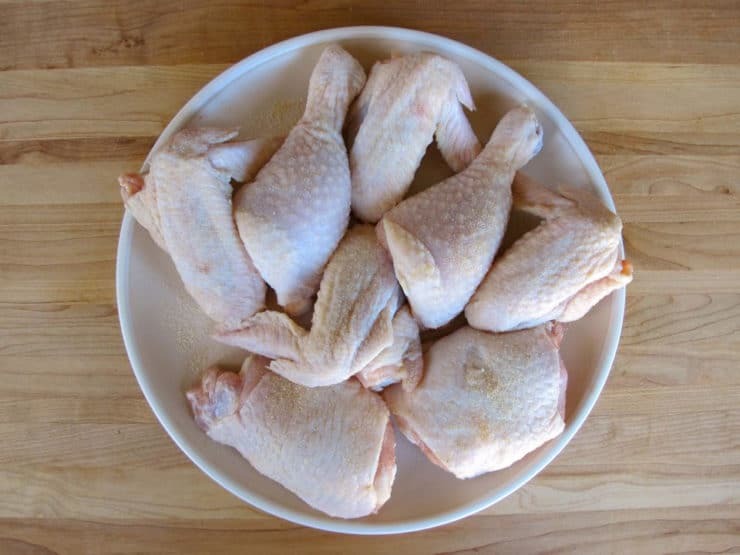 Dark meat will take 13-14 minutes, white meat 8-10 minutes. 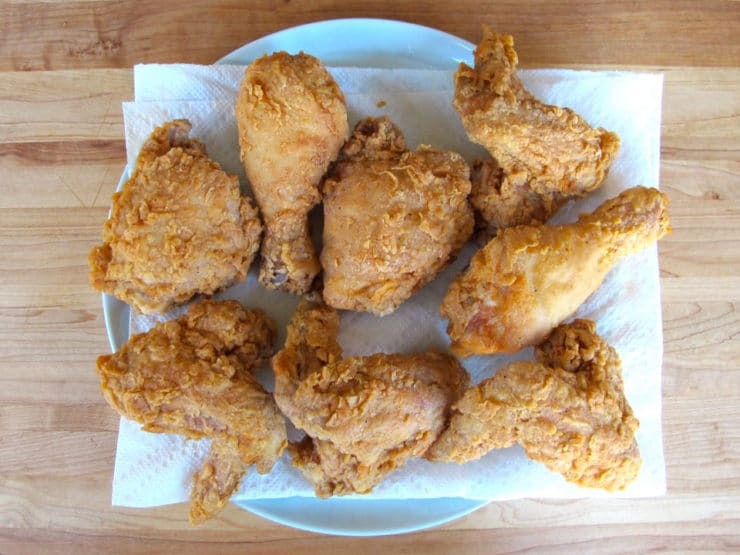 Place fried chicken on paper towels to drain off excess oil. Serve. Preheat your waffle iron. 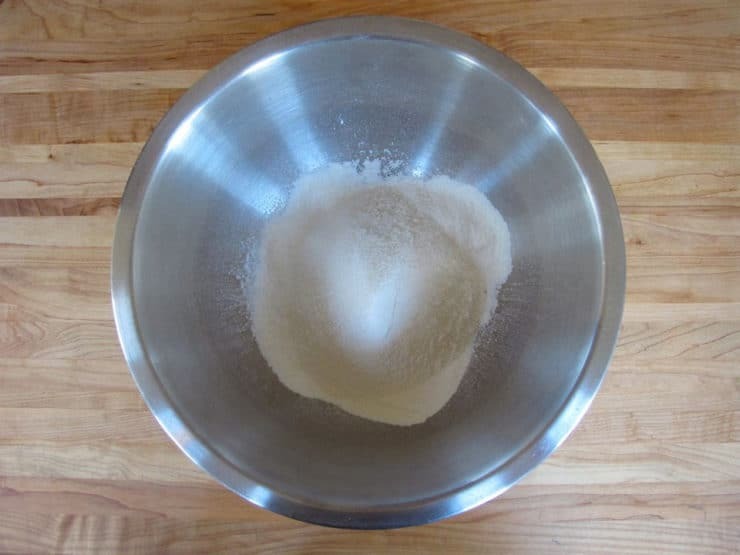 In a large mixing bowl, sift together flour, salt, sugar and baking powder. 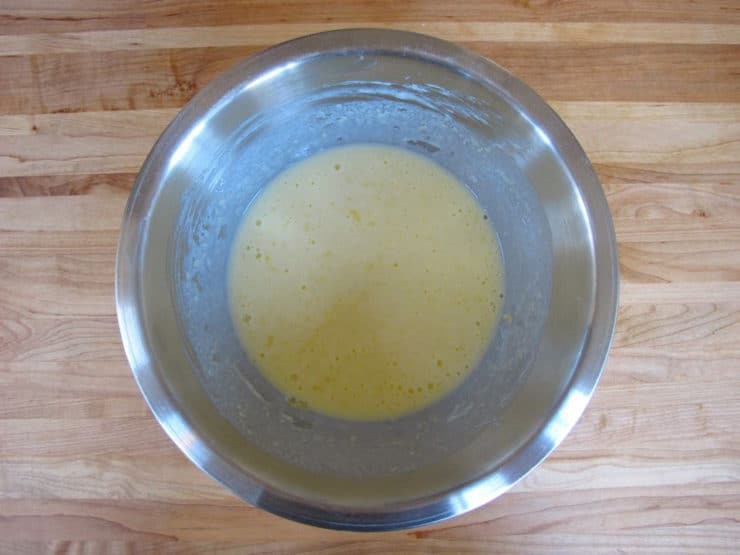 In a medium mixing bowl, beat the eggs, then beat in the lukewarm milk, butter and vanilla till well combined. 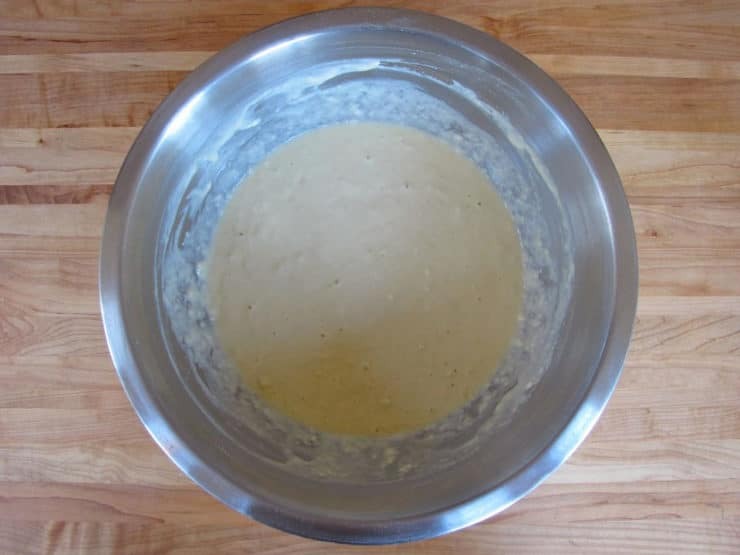 Pour the wet ingredients into the dry ingredients and stir will a batter forms. A few small lumps are okay. 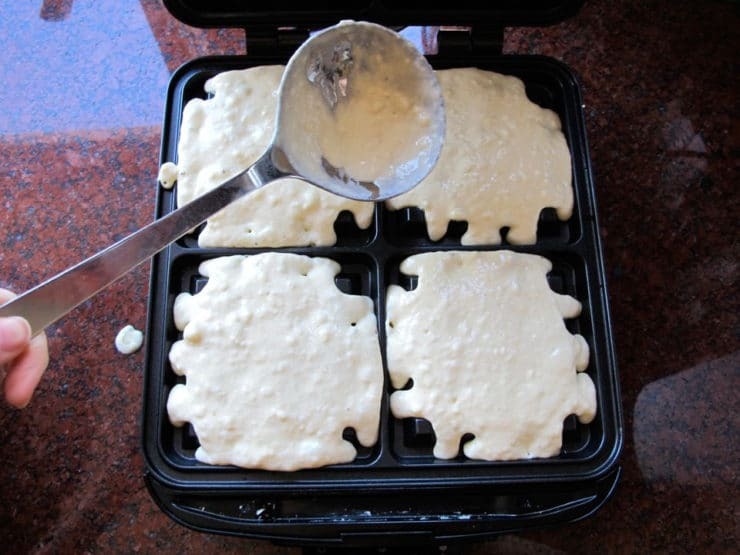 Pour the batter onto your waffle iron in batches. Amount per waffle will vary according to the size of your waffle iron. Let the waffles cook till golden brown and crisp. Serve hot waffles with warm fried chicken, warmed maple syrup, and butter on the side. Optional Kosher Modifications: Substitute almond or soy milk for buttermilk, use a non-hydrogentated butter substitute (like Earth Balance) to replace the butter. Great recipe, I love chicken and waffles! This is fine, but your introductory comments continue the myth that chicken and waffles is only an African American dish. The Pennsylvania Dutch have been making C&W for centuries. I know you mentioned them in your column on the topic — but on page two. Why are mentions of the PA Dutch C&W dish always buried? Our version of this meal is more than a second-rate afterthought. How about giving a PA Dutch C&W recipe as well? The truth is, chicken and waffles was popularized in Harlem; if Wells supper club had not added it to their menu, it would likely have remained a local Pennsylvania Dutch specialty and probably would not have gained wider notoriety in the United States. That said, it would be fun to explore the Pennsylvania Dutch dish further and perhaps post a recipe. I will consider it for a future post. I LOVE fried chicken and waffles. The first time I had it, I was amazed at how good the tastes went together. My son who has a web design firm in Oklahoma posted that he treated his employees to Chicken ‘n Waffles. I went “Ugh!” until I wandered upon your recipe. Now such an incomprehensive combination sounds delish. Made this for Father’s Day brunch. So. Awesome. Dad and my whole family loved it! I made this for dinner last night and it turned out AMAZING. Thank you!!! I have tried this recipe before and it is very good, especially on a cold day!